[Luc Volders] is building his own smart house with the help of Google Home and an ESP-8266. Inspired by the house computers from the TV show, Eureka [Luc] created an IoT ecosystem using a mix of off the shelf devices and open source software. There are about a thousand ways to create a DIY smart home these days. 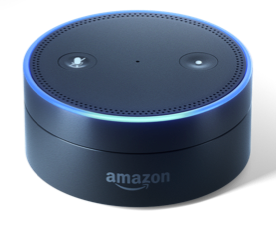 All of them involve setting up a command receiver (like Amazon’s Echo or Google Home), some sort of cloud connection, and an end device controller. This can get complex for the beginner. [Luc’s] article is great because he walks is through each step tutorial style. He even keeps things simple by programming the ESP8266 using BASIC with ESP-BASIC. [Luc] uses If This Then That (IFTT) as his cloud service. IFTT is the glue between Google’s cloud service and the ESP8266 connected to his home WiFi network. Speaking of which, [Luc] shows how to set up port forwarding on the router so all accesses to port 8085 go to the ESP8266. Not exactly strong security – but it’s better than opening the entire home network. You don’t need a real Google home device for this hack. You can build your own with a Raspberry Pi. Once that is set up you can do everything from turning on lights to watering your lawn.